While taking probiotics is an incredibly important part of your overall anti-Candida plan, knowing when to take them is important. Some people say to take them right away, some tell you to wait, but what I say is that it really depends. If you are already taking probiotics without any issues, it’s important that you stick with what is working. If you are taking probiotics, and then all of a sudden stop because you planned on doing a cleanse, it might cause more side effects, and might make your body react in a certain way. Your body is used to getting beneficial bacteria, and if you plan on further shocking it during a cleanse, you might regret it. One thing to note that is during a cleanse a lot of the bodies bacteria will be flushed out (both good and bad). During that time, some people recommend not taking probiotics, but from what I have seen, taking the probiotics during the cleanse is actually helpful because your body pretty much has nothing. You are flushing out as much as possible, so isn’t it best to give your body as much good bacteria as it can, even if it only lasts until the next cleanse? Someone who tells you not to take probiotics during a cleanse might as well tell you not to drink water because you will end up urinating it out. It just doesn’t make sense. 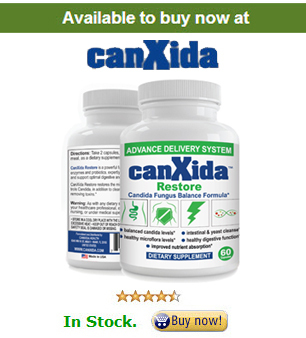 The initial Candida cleanse should take no more than 7 days. After that, continue with your antifungal supplements while you focus on your anti-Candida diet protocol. Wait until you’ve been on the strict anti-Candida diet, post-cleanse, for a week or two and then you can consider raising your dosage of probiotics. Yes, you can take probiotics and antifungals together – an experience that isn’t as difficult to manage once you’ve progressed to the actual anti-Candida diet protocol. There are some people who believe that antifungal supplements also have antibacterial properties. While the chances of the antifungal killing off some of the good bacteria are real, they’re very minimal. You can avoid complications by taking your antifungals and probiotics at different times of the day, or by spacing them at least 2 hours apart from each other to avoid conflict. The more good bacteria you can reintroduce to your digestive system, the better. The higher the quality of your probiotic, the easier it will be to overcome the Candida albicans overgrowth you’ve been attempting to treat. We’ll go into a lot more detail about how to choose a probiotic, but you’ll want to look for very specific strains of bacteria and high numbers of bacteria per capsule (the norm is several billion). How Long Will I Need to Take a Probiotic? This isn’t an easy question to answer. You’ll definitely need to continue taking the probiotic throughout the end of your Candida treatment plan, but that duration is different for each person. You’ll likely wean off of your antifungal medications first, then reintroduce different foods to your diet. Maintaining your probiotic intake during this time will help you to quickly overcome any negative effects, especially if your overgrowth hasn’t been completely cured. Many people do, of course, continue taking probiotics for the rest of their lives. You will very likely decrease your dose, of course, but you can also reintroduce your higher dosage if you feel like you are experiencing any sort of regression or a new Candida infection. Talk to your physician or naturopath if you aren’t sure how to introduce probiotics into your protocol. This is perhaps one of the most important components, so you’ll want to make sure you’re getting the most benefit possible.